We met Darryl Yardley at Graham Session in 2018. He’s a Canadian Physio and also a professor at Western University in Canada. 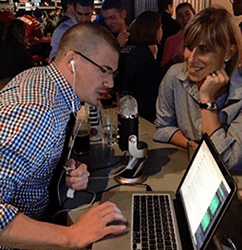 He asked Pintcast host Jimmy McKay if he’d’ skype into class and talk about his strange journey to the field of Physical Therapy and then field some Q&A. He’ agreed, and it sounded like this.